Four Lectures delivered at the Nineteenth Anniversary of the Theosophical Society, at Adyar, Madras, on December 25th, 26th, 27th and 28th, 1894. 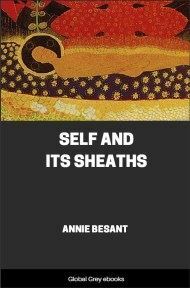 The lectures are: The Self And Its Sheaths; The Body Of Action; The Body Of Feeling; and, The Object On The Sheaths. To know man is to know God. To know God is to know man. 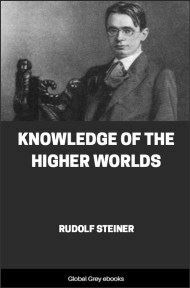 To study the universe is to learn both God and man; for the universe is the expression of the Divine Thought, and the universe is mirrored in man. Speaking to you last year I spoke of the Cosmos and its building, and speak¬ing to you this year I take the same thought in its essence, but in a new present-ment. This time I speak to you of the “SELF and Its Sheaths,” of that, which understood makes all problems soluble, that which realised clears all difficulties away, that which known brings us to the Supreme Peace, that beyond which there is nothing, and in knowing which we know everything that is or can be. In these Convention meetings of ours you must remember there is a double purpose; we are here for the work of the Theo¬sophical Society, that presently in our hands must be accomplished; and also we are here for the spiritual side of that mighty movement, for the understanding of ourselves and of the world, in order that by knowledge we may help, by understanding we may guide; and in these mornings, apart from the business portion of our work, we are to consider this mighty problem of the SELF, to try to gain some glimpses as to the SELF in the sheaths in which It is clothed, so that thus studying we may learn the Supreme Secret, and knowing the Su¬preme Secret may do our duty in the battle of the outer world. For so taught us Shri Krshna at Kurukshetra; there the Bhagavad¬ Gita was spoken, there the Supreme Secret was unveiled - not to the hermit, not to the recluse, not to the man apart from the haunts of men, but to Arjuna the prince and the warrior, to Arjuna the worker and the struggler; to him for his guidance was the supreme knowledge given; to him for his helping ere the battle, the truth about the SELF was told. Last year I pointed out to you three lines of study, three rays of light which, brought together to a single point, illuminated what was obscure, made clear what was difficult. The first of those rays of light came from the Shastras, came from the spiritual teach¬ings, came from the Supreme World that is the spiritual source of knowledge; then I pointed out to you that those great Teachers of the past, who had given the Shastras for the guiding of the people, had in these latter days sent a Messenger to deal with these same questions in different fashion, and in philosophical and intellectual language to give us the key that had been lost, to give us once more the solutions that had largely disappeared; and then I showed you also that from western Science, with its observa¬tion of the physical universe, with its record of physical phenomena, we might gain another ray of light, and joining this to the other two, taking side by side the spiritual teachings that are the holiest, the intellectual explanations that are necessary for the day, and the science which in scrutinising the physical universe trans¬lates by way of the senses the word of the Supreme Life, that in that way we might gain a knowledge more accurate, an understanding more complete than if we rejected any one ¬of the three, than if we confined ourselves ¬to the light shed by any one of the rays. I follow the same plan this year. I take as the source of the spiritual teaching those¬ books that are most ancient and most sacred, those books that are the very ‘Word’ given to man; that Science of Brahman which is hidden for us in the Upanishads, and is there, if we can find it, for the¬ guiding of our feet. 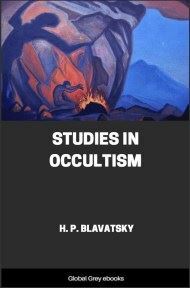 I take to help us in our study the writings of H. P. Blavatsky, who based herself on those ancient teachings, and cast light upon them from the Secret Knowledge; and I take also to aid us those discoveries of western Science that give us ¬in concrete form the abstract truth, so that understanding the universe on its physical side we may catch something of the Divine Word, of the truth of ourselves and of the all; and thus I hope to help you, I hope to lead you into some understanding of the¬ SELF, some comprehension of the sheaths in which It is enwrapped. And let me say, that no misunderstanding may arise, why I go back to the ancient writings instead of to the later philosophical schools. There is a mighty name in Indian literature, the name of Shri Shankaracharya that no man can name without reverence for the subtlety of his intellect, for the vast range of his intelligence. What was his work? 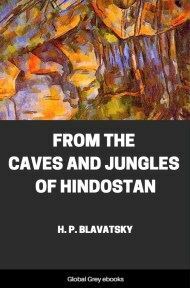 He came in the Kaliyuga, he came when the world was losing or had lost most of its spiritual light, he came to build up round the Science of Brahman the buttress of the intellect, the walls of subtle argumentation, the defences that should be strong and mighty, on which the intellect of the world might break its teeth in vain. And he did it in order that behind that wall of intellectual subtlety, behind that fortress of keen intellectual argument, the Supreme Truth might remain unoutraged by assault, might remain for those who were worthy, might be protected for the spiritual mind. If you take as an example the Brahma Sutras, with the com¬mentary upon them of Shankaracharya, you will see exactly what I mean. In his commentary there is the most refined hair¬-splitting; in his commentary the most subtle distinctions; in his commentary the most careful guarding of language, and the shading of every possible delicacy of thought; and behind all that commentary the Sutras them¬selves. If you want to gain their inner essence, if you want them not for intellectual arguments outside, but for the feeding of the Soul within, then take the Sutras alone in their original tongue, in their own un¬adorned form, and in silent meditation, when the senses are quiet and when the mind is tranquil, when the light of the SELF is shining - then take a Sutra and listen to it in its own words alone, and you will learn a spiritual truth that no argument may avail to reach. And now let us try and look backward into what to us is the past; let us go to the beginning of a universe, and try to realise what is meant by the SELF; for the SELF of the universe and the SELF of man are one, and in knowing the SELF we know That which is at the root of the universe and of man alike. Thus travelling, backward to the begin¬ning, we come to an infinite Darkness where there is no thought, no language, where nothing human or limited may be. It has no name, no words may describe It; nothing that can be said of THAT but is utterly mistaken; and when the writers of old had gone backwards and backwards, when they had reached Brahman, Who is without origin, Who is the One and the All, then in face of the silence beyond and the darkness, they used one epithet only to describe It; It is beyond Brahman, It is Supreme Brahman, Parabrahman! and there all voice is silent, all thought falls dead.